Planet Golf was established by respected commentator and golf course design consultant Darius Oliver, who spent several years traveling to more than 1,500 of the world’s premier golf courses for his Planet Golf series of books. Our Architect Directory is the most comprehensive on the Internet, and features information on more than 100 active golf course designers, as well as the giants of "the Golden Age". Read our independent reviews of their work by using the search box or selecting from the designers below. GSM signs 5-year deal to manage Growling Frog golf course. 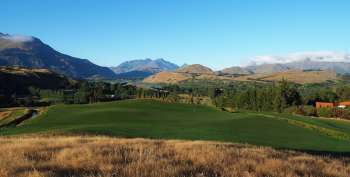 Tara Iti owner confirms plans for two more courses. Water Buffalo Groom Vietnam's Most Edible Golf Course. Tropical North Queensland’s best golf course to close next month. Indooroopilly Golf Club announces Perrett Webb as new architects.